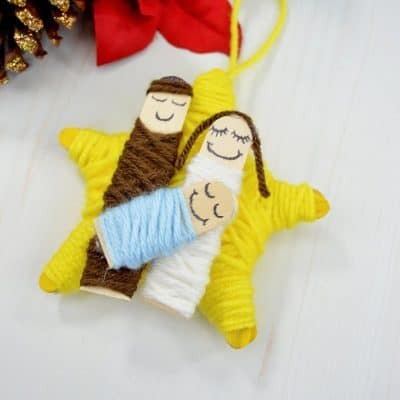 This DIY Yarn Wrapped Nativity Ornament is one of our favorites to make this year. It isn’t hard at all, yet it looks so intricate. I love centering our Christmas decor around Christ, and this ornament is perfect for that!